In the Australian Ballet’s 50th year Dance Informa is celebrating the company by highlighting the Ballet’s Principal Dancers each edition. This edition Dance Informa speaks with two of the company’s leading male dancers, Andrew Killian and Daniel Gaudiello. Click to catch up on last edition’s interviews with Madeleine Eastoe, Adam Bull and Lana Jones, October’s feature of Lucinda Dunn, Yosvani Ramos and Leanne Stojmenov or September’s feature of Rachel Rawlins, Kevin Jackson and Amber Scott. Born and raised in the suburbs of Melbourne, Andrew Killian says he was never very good at sitting still. Fortunately, for a Principal artist with The Australian Ballet, sitting still is not high on the list of necessary skills. What’s your first memory of dance, or the first time you knew you wanted to be a dancer? My earliest memory of dancing is as a child jumping around to my father’s records in the living room at home. When I was in year 11 in high school I really decided I would try to make dance my career. When did you join The Australian Ballet, and when did you become a Principal artist? I joined The Australian Ballet in 2000 and did a few years in each of the ranks. I was promoted to Principal artist in March of 2011. 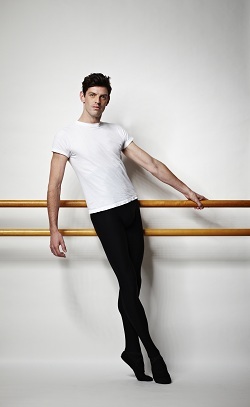 Andrew Killian, principal dancer The Australian Ballet. Photo by James Braund. What was your first role as Principal? It was opening night of the Sydney season of the triple bill British Liaisons in 2011. I danced Christopher Wheeldon’s After The Rain and Sir Kenneth Macmillan’s Concerto – both are great ballets. Apart from having danced in some the greatest cities in the world, I think the moment I’m most proud of was being promoted to Principal artist, with all my family watching. It was something I had wanted for many years. It was so great for my family to share that with me. They have seen the sacrifices that have made it possible. Which character in a ballet do you most associate with, and why? I have never danced any Forsythe work, that would be a challenge, and I’m looking forward to La Sylphide next year. 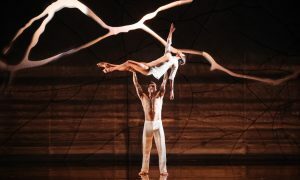 I think the Australian production of this ballet is so beautiful. When you are not dancing, what would you prefer to be doing? I do love to sit on the couch and do nothing when I can, but in my time off I also try to travel. Experiencing other cultures and their history is inspiring. That’s a really hard question, because dance has always been my focus. I think I would still be in the theatre, maybe with the circus or something that involves crazy and talented people. 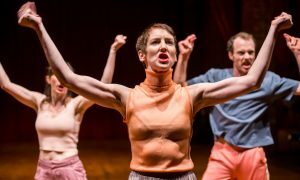 Jiří Kylián is the master in my eyes, both as a dancer or an audience member. Being away when there are birthdays and weddings of family and friends – you miss a few of these things when you travel so much. What advice can you give to budding dancers? If you love to dance then you are halfway there. You can’t do it without passion. I get to travel Australia and the world doing what I love, with beautiful people who have become my second family. In 2003, Brisbane-born Daniel Gaudiello was seconded from The Australian Ballet School to do John Cranko’s Romeo & Juliet. A year later he was accepted into the company. Then, in 2010, he was promoted to Principal artist. I remember I went to The Australian Ballet’s production of Madame Butterfly and Divergence. I thought ballet was a bit boring until I saw Divergence and that was the first time I thought about how fun it would be to do ballet! I still love that ballet and it still gives me that feeling. The Silver Rose – and it was the very first three act Principal role I’d ever performed too. A career highlight for me was winning the Telstra Ballet Dancer Award in 2007 and an Australian Dance Award for Coppelia, because both times I had my parents in the audience to share my joy and success. They are usually in Brisbane and miss the big nights I have. The role of Petrouchka was a special time in my career, when I really let my guard down and let the audience see a side of me that I usually have to hide. It was a release for me and an emotional journey I loved putting myself through. Which roles are high on your wish list? Albrecht from Giselle, Onegin from Onegin, any spot in Bella Figura would be a gift, and Romeo again and again! 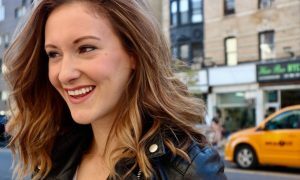 What is something most people don’t know about the life of a dancer? For every up there is a down. Camping on the beach, partying with family and friends or hanging out with my wife [Principal artist Lana Jones] and dogs. An actor or marine biologist. It has to be the series True Blood. I’m just a little bit nuts about it – ask my wife! It would make a great ballet, ha ha! Jiří Kylián, he’s a genius, and Marius Petipa – simply magical choreography. Ballet owes its life to him. The politics and breaking down the stereotypes that have been created, to make way for new interpretations of roles. Do you have a quote that means a lot to you? Life may not be the party we hoped for, but while we’re here we may as well dance. Always remember who you are and don’t be afraid to create your own path, otherwise you’ll be following others. I love that I will never call it a job, more like a hobby on steroids! If it’s a job for you, you are in the wrong place.